A few years back I discovered a documentary movie called Running on the Sun, about a brutal footrace called the Badwater 135 (that’s a 135 mile run through Death Valley, CA, in mid-July, often referred to as “the world’s toughest foot race”). If you have a chance, check it out. You can watch it all online, complete with German subtitles. It is a bit dated and there are other videos out there that might also be of interest (just do a search). Let’s just say up front that I never had any desire for these kinds of things, but after watching Running on the Sun, I became moderately interested in ultramarathon runners (defined as any running event that is longer than a marathon). My own running has waxed and waned over the years, settling on moderate amounts of mileage and hit and miss unstructured workouts. 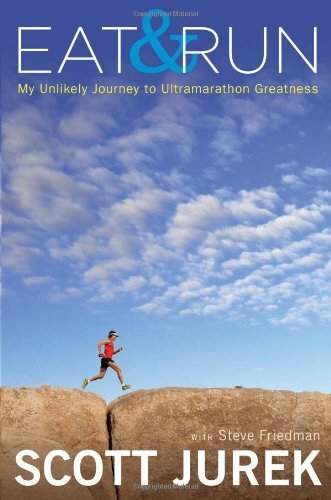 My interest in these ultra-events (sans particpation in them) extended to books and documentaries, including the self-promoting “Ultramarathon Man” Dean Karnazes. I don’t know if I’d describe him as outright arrogant or a just a peacock – the term given to guys who frequent running races or triathlons and strut around with their shirts off. 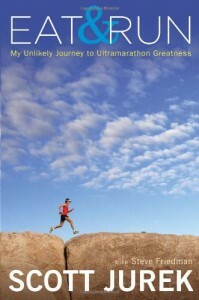 I heard about another ultra guy named Scott Jurek when I read Christopher McDougall’s Born to Run, which seemed much less arrogant and peacock free.